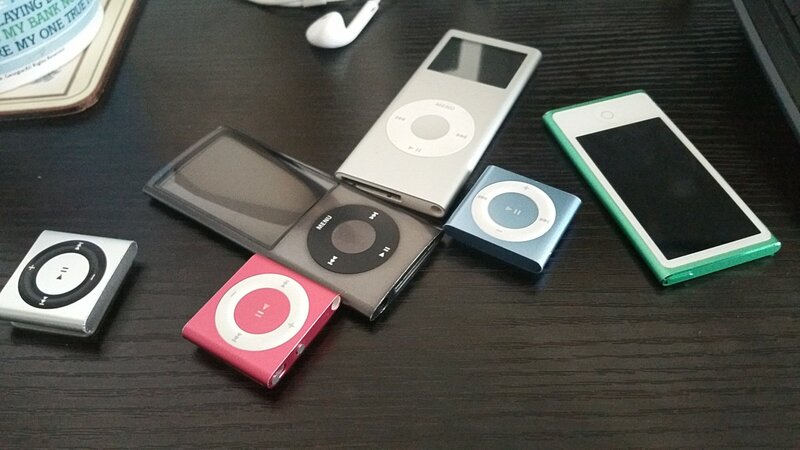 Today I reset the play counts on all of our family iPods after a year of pretty much continual music spinning. I’ve been doing this each December since we got our first iPod in 2007. I used to wait until December 31, but I’ve found that we usually want some fresh mixes through various holiday trips and hectic work season, so now I generally reprogram everything after I complete my Best Albums report in early December. The most interesting playlist every year, for me, is the automatically-calculated “most played songs” count. Since we synch all of our gadgets to one computer and one iTunes account, this “most played songs” list in our household represent the aggregated play counts from my train commute, my travel time, our car, Marcia’s gym, Marcia’s apartment in Des Moines, and the collaborative family iPod that stays in our Chicago apartment stereo dock and is played by whoever is home at the time. So the “most played songs” of the year are often unexpected, since they represent the heart of a musical Venn Diagram where our family’s tastes most closely overlap, even though each of us individually may like very different things. We spun about 5,000 songs in 2017 — out of about 12,000 stored on my computer. The list below shows the ones that earned the most frequent listening love in aggregate since December 2016, with “Biological Speculation” by Funkadelic taking the title of Most Played Song in our lives this year. (It is very apt for our current political environment, if you don’t know it). So as I push the “post” button here, I also push the “reset” button on the iTunes play counts. Kaboom!! It’s a new musical year!! Huttah!! Cool man, I love this idea so can I borrow it and post something like this at some point myself? Sure! Post a comment with a link here when you do . . . I’d be interested to see it! Very cool! That is an awesome list . . . Lots of stuff in it I know and love, and a good number of artists I have seen live over the years. Nicely done!!! Oh yeah, a lot of the bands I’ve seen live this year! I had tix to the last SKM/Jesu show in Chicago and was unable to go . . . So then on their last album, of course, there is a song about the very show I missed! I also missed King Crimson in Chicago because I was out of the country, and everyone declared it BEST SHOW EVER, of course. I did get that CD when they issued, and it was great indeed. Glad I got to go up and see them in Milwaukee a few months later! Right, right SKM did tour here this year, I’m an Aussie and I was going to go to both Hobart or Mel gigs but didn’t in the end, he did a solo tour a couple of years ago which I did see the Perth three plus hour show then, bloody crazy show! A lot of Aussie stuff is on my list which have been some of the best shows for me this year. I don’t if you would get Aussies acts touring your part of the world? Or do you get them? BTW I’ve never seen King Crimson live, I’ll have to go, if they tour here if they’re that great! Crimson are indeed amazing live. I have seen them five times over 25+ years. Of the Australians on your list, I have seen Saints, Kuepper and Cave/Seeds live, Nick most recently on his last tour. Also have seen Swans and Sepultura, among others. I will spin your playlist on my train ride tomorrow! Cool and cheers man! I hope you enjoy it but it does sound like you know a lot of it, let me know what you do think after your train ride, OK?